How is it that a TDT can immediately restore a limited function? What is the neuro-physiological process that occurs during TDTs? To which sports & general conditions can TDTs be applied? TDTs bring together all different types of physiotherapy skills - and are inclusive of all techniques that physiotherapists are trained in. 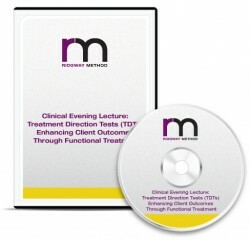 You will see descriptions and demonstrations of various types of TDTs and how these are applied during a client's limited function to immediately restore their abilities. How is it that a TDT can immediately restore a limited function and reduce pain? The presenter provides you with forums for future ongoing, unlimited access for any questions & answers that you might have as you apply TDTs to your clients. You have access to the full lecture videocast, filmed in Perth, Australia, for one year after purchase. MICHAEL RIDGWAY is an APA Professional Excellence Award Winner - for contribution to promotion of the physiotherapy profession. Michael completed his post graduate Musculoskeletal Masters degree at the University of Queensland in 2000, and has gone on to spend more than eight years developing a revolutionary approach to musculoskeletal care. In the short time since development, this approach has been successfully adopted by some of the most experienced and highly respected physiotherapists throughout Australia. Michael applies logical. lateral thinking approaches to both clinical and business physiotherapy spheres. The dramatic clinical results achieved with Michael's approach are matched by the value he places on his clinical time, which is presently AUD800 per hour. 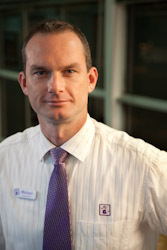 Michael's focus is to ensure that much of what he teaches can be applied immediately by every physiotherapist.